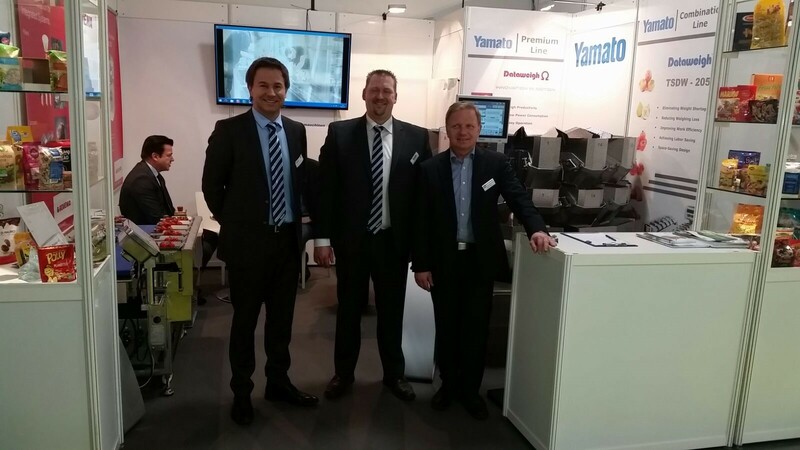 REVIEW | Yamato Scale GmbH is pleased to report success at Fruit Logistica in Berlin. At this year’s Fruit Logistica in Berlin, Yamato Scale was on hand, as usual, presenting its high quality products and services related to the weighing and packaging of fresh produce and other products. From its range of multihead weighers, the company showed the ADW-O-1214S from the OMEGA series this year. Visitors were impressed with its high performance and functionality. In addition to the reliable quality and modern technology, Yamato scales also meet European hygiene requirements for the food industry. Visitors also had the chance to see the unbeatable TSDW-205W at the joint stand operated by Yamato, JT Packaging, and Rovema. This semi-automatic multihead weigher offers a unique technology that impressed visitors. Producers and dealers of large and delicate fruits and vegetables were both enthusiastic about the features offered with this scale. This combination scale increases the productivity of the packaging process several times over while treating the product with kid gloves. The Yamato team at Fruit Logistica would like to thank the many visitors for their interest. We hope to see you again and soon at one of our events. Don’t forget to visit us at Interpack 2017. You will find us in Hall 15 at boothB21.